Online browsing is dangerous, but even more so when you’re a student. Morning lectures leave me with whole afternoons of boredom, leading to me gawping at clothes, shoes and accessories which I can’t have. 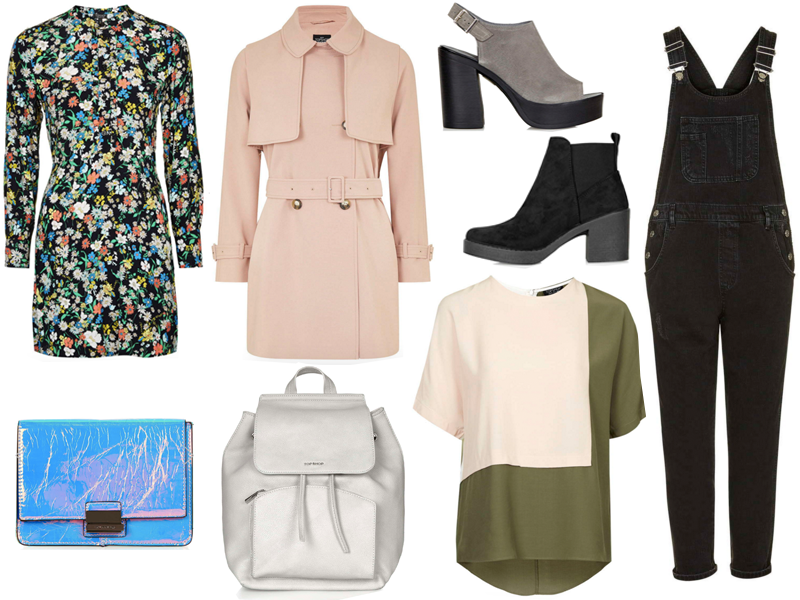 Topshop has always been a favourite of mine – the prices are sometimes a bit steep but you can’t fault them for their fashion! I had a look at the new in page and picked a few of my favourite. The khaki obsession has made another appearance in the block coloured top, but a few different pieces are in there too like the super funky holographic clutch which would be perfect for my nights out at uni!